The Amd-Ritmed Safe-Mask Pro-Shield Mask is a high barrier mask for oral exams of high-risk patients with an integrated optically clear, distortion free, wrap-around shield for full-face protection. Eye shield has anti-fog treatment to eliminate fogging and promote clear visibility. Mask and shield feature soft and strong earloops for custom fit and comfort. 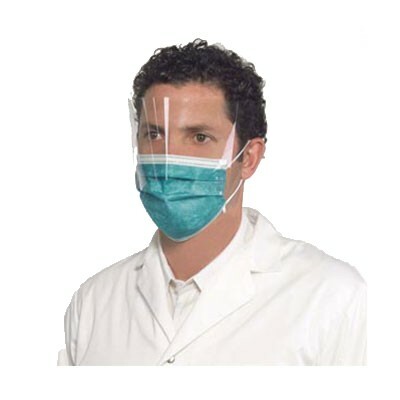 For more information on the Amd-Ritmed Safe-Mask Pro-Shield Mask, please visit www.amdritmed.com. To view more specifications, please view the provided PDF.